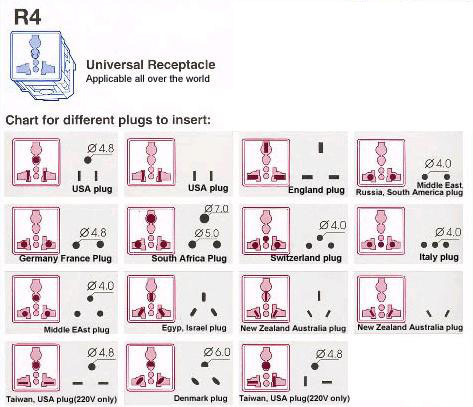 The R-series universal receptacles feature the patented insertion opening design to accept plugs from more than 50 countries. It is ideal for companies seeking to streamline their production overhead to create 'Power-Wiring Friendly' products that can be marketed worldwide readily. 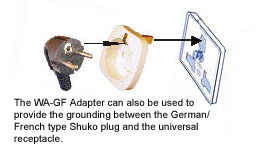 When embedding your product with our universal receptacles, instead of country-specific ones, you instantly eliminate the need to run country-specific product lines or do costly re-wiring in the local country. Our universal receptacles make it possible for the first time to let you create 'Power-Wiring Friendly' products and reap the cost savings from streamlined production and inventory as well as expedited time-to-market to accelerate your products' market reach worldwide. 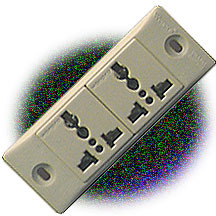 Whether you plan to embed the R-series universal receptacles in your product or apply in your project, our WF-Series mounting frames offer a wide range of modular mounting options, quickly and easily. NEMA 5-15 for USA, Canada, Taiwan, Japan, etc. 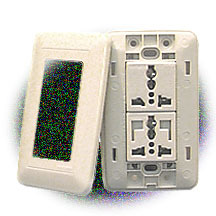 All R-Series receptacles are designed for easy installation with the WF Series modular mounting frames. This unique modular architecture offers the highest flexibility for custom configuration needs. Here are a few examples. 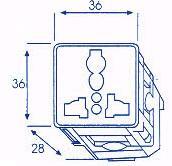 To find out all WF mounting frame options, please click here.